We are writing this letter to you on behalf of endorsed South Korean and international labour and social movement organizations to express our solidarity with labour activist Somyot Prueksakasemsuk. We demand release of Somyot Prueksakasemsuk who has been detained from the 30 April 2011. Mr. Somyot Prueksakasemsuk has devoted himself for democracy and labour movement in Thailand and for international solidarity as a labour activist, scholar and journalist. Particularly, he has shown strong solidarity to labour movement in Korea. He has translated and popularized a Korean Solidarity song for Thai labour movement. Therefore Korean Labour movement and civil society especially have deep interest and concern on his situation. He has been imprisoned since he faced charges under the Lese Majeste Law from the article 112 of Criminal Code. Bail of him has been refused and his detention has been extended. We are deeply concerning that the Thai government uses the Lese Majeste Law to oppress Mr. Somyot Prueksakasemsuk who criticized the Thai government through magazine. In addition, we heard that Yingluck Shinawatra, prime minister of the Kingdom of Thailand, who was supported by the Red Shirt Movement, stood firm on the policy of not amending the Lese Majeste Law because it was not part of the party's election campaign platform. In this circumstance, Mr. Amphol Tangnoppakul, a 62 years old political prisoner who was victimized by the Lese Majeste Law passed away on 8 May 2002 in prison. He was sentenced 20 years in prison convicted of the Lese Majeste Law for supposedly sending an SMS message to ex-prime minster Abhisit's personal secretary. Mr. Amphol Tangnoppakul's tragedy is not the only case. There are still many political prisoners of the Lese Majeste Law. There are being denied constantly of the right to bail and treatment outside prison. The Lese Majeste Law is a antidemocratic law for suppressing labour movement and social movement in Thailand. We demand the Thai government release political prisoners of the Lese Majeste Law and amend of the law. We remind you that the United Nations Declaration on the Right and Responsibility of Individuals, Groups and Organs of Society to Promote and Protect Universally Recognized Human Rights and Fundamental Freedoms, adopted by consensus by the UN General Assembly on 9 December 1998, recognizes the legitimacy of the activities of human rights defenders, their right to freedom of association and calls on States to ensure that they can carry out their activities without fear of reprisals. We believe the continuous abuse of the Lese Majeste Law is politically motivated and detrimental to the rebuilding of democracy in Thailand. Such laws have to be reviewed in accordance to international human rights standards. So, we are call on the Thai authorities to: Release all the political prisoners of the Lese Majeste Law including Mr. Somyot Prueksakasemsuk unconditionally and grant them amnesty, Amend the Lese Majeste Law from the article 112 of Criminal Code. Members of All Ethnic Democracy and Human Rights Network protests in-front of Myanmar Embassy in Seoul, they are from different ethnic group including Chin, Mon, Burman and other. The group delivers Press Release to Media and Myanmar Embassy at the end of the protest. We are a group of Burmese/Myanmar ethnic people based in South Korea; our organization name is called “All Ethnic Democracy and Human Rights Network”. Today we are protesting our democracy and ethnic-civil rights in the front of Myanmar embassy, in memorial of our leader - Chin student hero ‘Salai Tin Mg Oo’ who was deliberately killed by Burma/Myanmar military junta due to his democracy and freedom movement. This is the memorial of 36th anniversary of Salai Tin Mg Oo assassination, that the Burma/Myanmar military junta killed him on June 24, 1976. We “All Ethnic Democracy and Human Rights Network” are strongly condemned for the Burma/Myanmar military government’s action for that. (1) Stop continues war and human rights violation, and stop military interfering in civil government. (2) Admit and apology for killing Salai Tin Maung Oo; and release the remaining students and political prisoners immediately. (3) Change a genuine democracy system and provide freedom from political and economic suppression. And we ask South Korea government and International community to support on our course of democracy movement and to transform a genuine democracy system in Burma/Myanmar. Also we ask them to support and help-out the ethnic victims in inside the country and asylum seekers in outside the country. On 13 March 2012, the cabinet endorsed the renewal of the enforcement of the Emergency Decree for three months in the three Southern Border Provinces including Pattani, Yala and Narathiwat. The 27th renewal shall be effective from 20 March to 19 June 2012. 1. On 1 May 2012, General Yutthasak Sasiprabha, Deputy PM, was appointed by the cabinet as the Chairperson of the Committee to Mobilize Policy and Strategy to Solve Problems in the Southern Border Provinces. On 17 May 2012, a workshop was convened by the Chairperson among high ranking officers from 17 concerned Ministries and 66 agencies including agencies at the policy level working on administration in the Southern Border Provinces such as the National Security Council (NSC), the Southern Border Provinces Administrative Center (SBPAC) and the Internal Security Operations Command (ISOC). An agreement has been reached among the executive officers to implement nine point integrated policy set out by SBPAC with an emphasis on development and the six point strategy of ISOC to ensure security under the 2012-2015 Strategic Framework to Solve Problems in the Southern Border Provinces proposed by NSC. 2. Evidence based information has been obtained by both Foundations that SBPAC has been implementing policy to enhance development through nurturing understanding and minimizing causes of conflict. Access to remedies has been made available to people who have been affected by the unrest including those affected by the enforcement of special laws. Some have been subjected to human rights abuse while being held in custody invoking the specials laws including torture, enforced disappearance, unlawful detention, and extrajudicial killing. That the persons held in custody have been subsequently released and have not been prosecuted reflects the impact of the enforcement of special laws including the infringement on the right to freedom and security. 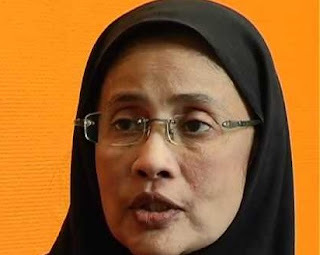 In addition, the Foundations have found that insofar SBPAC has initiated the revision of local ordinances, rules and regulations which are inappropriate to the cultural identity of the local Muslim sisters and brothers. By the virtue of such revision, their identity has been recognized on par with provisions in the Constitution and international standards, and that has paved the way for bigger public space to dialogue for peace. 3. As for plans to ensure security, the Foundations have found that both governmental officials and civilians have still be victims of violence and the loss of life and damage of property has continued unabated. Meanwhile, the preemptive measures and the suppression methods based on invoking law to arrest and hold in custody suspects have led to restriction of people’s rights and freedom as well as infringement on the right to justice process including access to lawyer and relatives and a lack of transparency during the inquiries. 4. The arrest and holding in custody of students and activists in the province of Yala in May 2012 has prompted student groups to demand an explanation from security agencies since those students and activists detained had been working actively to demand a lift of the Emergency Decree. They deem that the law bears impact on people’s daily life and leads to restriction of rights and freedom and is not effective in addressing the unrest. The arrest and detention simply sends out ripples of intimidation among local people who are active in demanding a lift of the special law which causes infringement of people’s rights. Lately, the student groups have led a nonviolent action to submit and letter of petition to representatives of Organization of Islamic Conference (OIC) urging them to negotiate with the Royal Thai Government in order to review the enforcement of Emergency Decree. The OIC representatives have promptly expressed their concern upon receiving the letter and expressed their similar concern to the RTG concerning impact of the enforcement of Emergency Decree which has led to complaints of human rights abuse. They have also shared their views and recommendations to through the press urging the Thai authorities to review the enforcement of the Emergency Decree and to resort to solutions based on nonviolence and development. 5. The Foundations have found that the implementation of policy by SBPAC and ISOC continues to lack congruency with the restriction of right to freedom and right to justice process as a result of the enforcement of Emergency Decree. That shall simply minimize the chance to establish peace in the Southern Border Provinces. 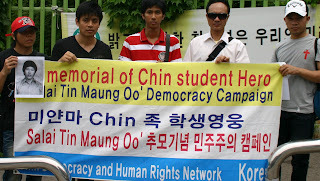 Therefore, the Cross Cultural Foundation (CrCF) and Muslim Attorney Centre Foundation (MAC) would like to urge the government to experiment with the three month moratorium of the Emergency Decree in order to allow the administrative agencies including SBPAC to carry out their activities based on the strategy to enhance development and peace through nonviolence. The information obtained shall be useful to review the necessity of the enforcement of the Emergency Decree. In addition, it shall help to increase confidence in a sustainable and stable ASEAN community and help to set out cooperation framework to address security issues faced by both the states and people in ASEAN in the near future. On 18 and 25 June 2012, at 9:00-16:00, a trial will take place at the Criminal Court, Ratchdapisek Road (room to be determined on those dates). Mr. Sudi-Rueman was one of five alleged perpetrators in a gun robbery case (2004). Mr. Sudi Rueman filed a complaint to the Department of Special Investigation (DSI) under the Ministry of Justice alleging that he was tortured during detention. 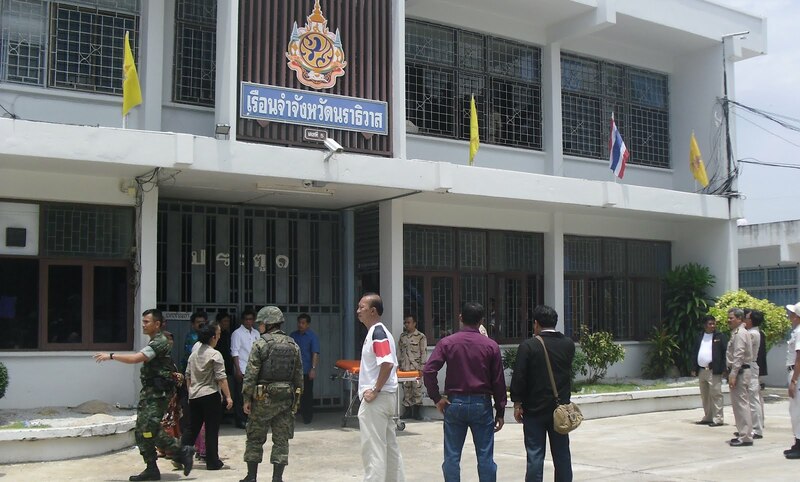 DSI transferred the case to the National Anti-corruption Commission (NACC) as the facts concerned state officials. On 29 July 2009, the police (Pol. Gen. Bhanupong Singhara) filed a complaint to the Criminal Court accusing Sudi-Rueman of reporting false information to the officials. On 28 September 2009, the Court of First Instance dismissed the case, stating that it was an exercise of basic rights and that there was no damage to the police. The Appeal Court reversed the decision of the Lower Court in Red Case No. 03303/2552 and ordered a retrial. Pol. Gen. Bhanupong and his witnesses are scheduled to testify on 18 and 25 June. This trial will determine whether or not Pol. Gen. Bhanupong Singhara has sufficient grounds to bring this criminal lawsuit to the court. Mr. Sudi-Rueman is being sued for making a complaint about his torture by police officials in good faith. At stake in this decision is the fate of Mr. Sudi-Rueman Mah-Lae and whether the decision will encourage or discourage torture victims from making complaints against alleged officials in the future. The Cross Cultural Foundation (CrCF) urges all concerned persons to attend the court as trial observers. Participating in the trial observation would be a way to show solidarity for victims of torture for the United Nations International Day in Support of Victims of Torture, which is celebrated on June 26, this year. Mr. Sudi-Rueman Mah-Lae will not be present because he is not yet been officially charged. The CrCF has a colleague attending who can serve as an interpreter. On 4 January 2004, a gun robbery took place in the Narathiwat Rajanagarind (Pileng) Army Camp in Narathiwat. Mr. Sudi-Rueman Mah-Lae was one of five alleged offenders in this gun robbery. Mr. Sudi-Rueman Mah-Lae and the other alleged offenders filed a complaint with the DSI, accusing Pol. Gen. Bhanupong Singhara, Pol. 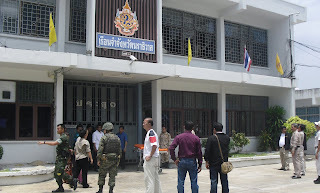 Lt. Gen. Chakthip Chaijinda, and other officials of torturing them so that they would confess to the gun robbery charges. Altogether 19 officials were accused of torturing the five alleged offenders. The DSI referred the complaint to the NACC as the complaint was related to a criminal offence committed by state officials. The abduction of lawyer Somchai Neelapaijit is related to this case. On the evening of March 12, 2004, one day prior to his abduction, Mr. Somchai helped the alleged offenders to make a letter of petition concerning the alleged torture. In addition, Mr. Abdullah Abukari, one of the five alleged offenders in the gun robbery who was under DSI's witness protection program, disappeared in Narathiwat in December 2009. His whereabouts are unknown and he may be dead. Currently, Pol. Gen. Bhanupong Singhara and Pol. Lt. Gen. Chakthip Chaijinda hold very high positions within the police force as Deputy Commissioner-General and Commissioner of Metropolitan Police Bureau respectively. Pol. Gen. Bhanupong Singhara is suing Mr. Sudi-Rueman Mah-Lae for reporting false information to the inquiry officials of the DSI in relation to the torture complaint. The case was filed on 29 July 2009 as Black Case no. 02618/2552. After a preliminary investigation, the Court dismissed the case on 28 September 2009. The case was dismissed because the Court claimed that the reporting of information to the DSI was an exercise of the basic rights of the citizen for criminal offences committed against the citizen. In addition, the Court found the case to be non-actionable. The Court said that the case was non-actionable because the DSI had not at that point in time determined whether the allegations of torture could be substantiated. The case had been referred to the NACC. Until the NACC inquiry was complete, the court claimed that it could not determine whether the information reported by Mr. Sudi-Rueman Mah-Lae was false and might cause damage to the plaintiff. At the time the plaintiff, Pol. Gen. Bhanupong Singhara, had not suffered a suspension from office or any impact on his official duties by the actions of Mr. Sudi-Rueman Mah-Lae and therefore had not suffered harm. In December 2010, NACC dismissed the complaint regarding the police's alleged involvement in the torture of Mr. Sudi-Rueman Mah-Lae and others, claiming that no substantial evidence had been acquired to support the case. The Appeal Court reversed the decision of the Lower Court in Red Case No. 03303/2552 and ordered a retrial. A pretrial hearing was scheduled for 23 January 2012. The preliminary hearing dates were fixed for the 2 and 23 of April. On 2 April, the plaintiff postponed the hearing to 23 April 2012 because he was busy investigating a robbery. The Court granted the request. On 23 April 2012 the first prosecution witness was examined but the trial is not yet finished. The new hearing dates have been set for the 18 and 25 of June 2012. Ms. Pornpen Khongkachonkiet, Director of the CrCF, said that in the case of a complaint made in good faith regarding torture as per the Convention against Torture and Other Cruel Inhuman or Degrading Treatment or Punishment (CAT) to which Thailand has been a signatory since 2007 and in compliance with Section 62 of the 2007 Constitution, the complainant should be protected. This should encourage any complainant to come out and demand investigation and to bring to justice any perpetrators including government officials. This shall put an end to the culture of impunity. If the state fails to protect a victim of torture as a witness and complainant against alleged officials, the enforcement of CAT and the Constitution will not be possible and confession-driven-torture shall continue unabated. The Thai government should accelerate efforts to fulfill its obligations to prevent torture by taking legislative measures to enact, amend laws and to take effective measures to criminalize offenses of torture. The passage of the draft Torture Prevention Bill proposed by the Human Rights Lawyers Association, Cross Cultural Foundation and Union for Civil Liberties would be beneficial to address problems with impunity and lack of meaningful remedy for torture victims. Under this bill, an appropriate penalty for torture is determined. Torture would be criminalized as a specific offense, as “torture by state officials” is not yet a criminal offence under Thai law. In addition, an independent and impartial mechanism for investigation into an alleged act of torture would be developed. At present, the perpetrators are not brought to justice and impunity continues because the offenders are often associated with the investigation body in ways that undermine the independence and impartiality of the investigation. In addition to Black Case no. O2618/2552 and Red Case no. O3303/2552, there are other cases which are related to this matter. In Black Case no. O2161/2552, Pol.Maj.Gen. Jakthip Chaijinda sued Mr. Sudi-Rueman Mah-Lae for reporting false information to the DSI and NACC. The Court found Mr. Sudi-Rueman Mah-Lae guilty of violating Section 173 coupled with Section 174(2) and 187(2) of the Penal Code and ordered him imprisoned for two years as per Red Case No. 03140/2554 on 10 August, 2011. The CrCF has bailed him out and appealed the verdict. The appeal motion was submitted on 30 September 2011 and is pending at the Court of Appeal. Pol. Gen. Bhanupong Singhara and other police officials have filed a complaint with the Crime Suppression Division (CSD). On 19 May 2011, summonses no. 510/2552 requested that Mr. Sudi-Rueman Mah-Lae hear the case against him and testify for CSD’s inquiry on 10 June 2011. Seven other torture victims and their lawyers also received summonses and reported to CSD inquiry officials on 10 June. The torture victims (alleged offenders of providing false information) all plead not guilty. On 28 November 2011 after another meeting with the alleged offenders and reviewing evidence, CSD decided to file the case. The alleged offenders were required to report to the CSD twice on the 20 January and the 6 March 2012. The public prosecutor accepted the case from the police. However, defence attorneys have been informed by the public prosecutors that after reviewing the inquiry reports, incriminating evidence, including written testimonies of the information alleged as false, was not included in the reports. The reports were sent back to the inquiry officials to acquire the missing documents. Thus, the public prosecutors postponed the date to meet with the alleged offenders indefinitely. Under Section 10 of the Tom Lantos Block Burmese JADE Act of 2008, the State Department is required to prepare, annually, a report on military and intelligence aid to Burma, by foreign party suppliers of materiel, training, and intelligence assistance. This includes, under Subsection (b) (3), information that the United States possesses on “the provision of weapons of mass destruction and related materials, capabilities, and technology ...” State was charged with preparing a full report for the House and Senate foreign affairs and foreign relations committees, and required to publish an unclassified version. The first report should have been published by January 2009, with subsequent reports each following January. State failed to satisfy the law, and as many people are aware I made a Freedom of Information Act filing, in April 2010, to force it to do so. It refused to do this until now. State just informed me that the 2009 and 2010 reports have been published (see the links below). The 2011 report should also have been published by this time (although it was not part of my request), but is not yet online. Although State’s website shows that the 2009 and 2010 reports were published this past March, the wider Burma community is not yet aware of their existence. Interestingly, I spoke with a State FOIA officer in April (I wasn’t aware of their existence, either), and she in turn talked to the East Asian and Pacific Bureau’s Burma Desk Officer, who pleaded for more time, apparently also not informed that the reports had just been posted. One wonders therefore who prepared them. The reports are extremely brief, one page each. They appear to be the absolute minimum that State felt compelled to release (and as quietly as possible). So much for transparency. It is clear that the Obama Administration does not want to muddy its rapprochement with Naypyidaw. For example, there is no reference to weapons of mass destruction at all (or intelligence assistance). I am certain, though, that the full reports are major documents, with extensive segments pertaining to (b) (3). However, the reports that have been posted do contain interesting information, including about the relationship between Burma’s military regime and North Korea, and the involvement of Singaporean and Taiwanese trading companies. The first is clear evidence that the regime is lying when it says that it no longer has links to Pyongyang. “Military production facilities” take years to complete, after which of course they become operational. Some of the revelations are as follows. Would any journalists who attend State briefings, or who interview State officials, please ask about the tidbits contained in the released reports, as well as when 2011 will be posted. There is a huge story here: Many stories. This is what is really happening in Burma now, behind the “reform.” Please use your access to push for the truth. Burma’s primary military suppliers in 2009 were state-controlled companies from China, North Korea, Ukraine, Russia, Belarus, and Serbia (which is a list of upstanding arms traffickers if ever there was one! ), as well as other companies based in Singapore and Taiwan. China provided both finished weapons and assistance with military production plants. North Korea assisted with military production facilities, had equipment on the vessel Kang Nam 1 blocked from delivery, and cooperated in underground facilities for aircraft. Russian companies and brokers sold weapons to Burma. Firms based in Singapore and Taiwan helped the regime acquire military production technology. The primary suppliers in 2010 were China, North Korea, and Russia. China continued to help build military production plants, as did North Korea. North Korea delivered military equipment in April 2010 on the vessel Chong Gen. (Reports at the time indicated that it was then heading to Iran. Dictator Watch has also disclosed that Burma is bartering - our sources say yellowcake uranium - with Iran.) North Korean arms traders with Burma further bought production equipment from Taiwanese and Chinese companies. Russia continued to supply air defense systems, and to train Burmese students in a wide variety of military fields (including nuclear, which study program Dictator Watch first revealed). Singaporean and Taiwanese companies continued to help the regime source military production technology. The International Committee for Fair Elections in Taiwan (ICFET) was formed in 2011 to bring together a new coalition advocating free and fair elections in Taiwan. It brings together 88 leading democrats from around the world to engage the moral authority and political leadership of the civilized international community and express solidarity with the people of Taiwan at this key juncture. The Committee’s Chairman is Taiwanese democracy pioneer Dr. Peng Ming-min, and the Honorary Chairman is H.E. Lee Teng-hui, Taiwan’s first directly elected president. Among the international members include 12 members of the Japanese Diet, 5 members of the European Parliament, civil society leaders from all continents, and leading experts on Taiwan and Asian affairs, as well as a distinguished group of Taiwanese elder statesmen. For more information about ICFET, please see the ICFET website: www.taiwanelections.org. To provide the international community with direct knowledge of the actual conditions of Taiwan’s contemporary politics, ICFET organized and sponsored an International Election Observation Mission (IEOM) to come to Taiwan to observe the joint presidential and parliamentary elections on January 14, 2012. The IEOM consisted of eighteen (18) observers invited by ICFETfrom Australia, Canada, Denmark, France, Japan, the Netherlands,Sweden, and the United States, representing academia, elected representatives, religious groups, businesses, and civil society. The head of the mission was the Hon. Frank Murkowski, Former Senator and Former Governor of Alaska (USA). The IEOM took place from January 10-15, 2012, including visits to Taipei, Kaohsiung, Tainan, and Taichung. They met with campaign organizers, staff, and candidates from the three main political parties: Chinese Nationalist Party (KMT), Democratic Progressive Party (DPP), and People’s First Party (PFP). They also observed political rallies, street campaigns, and activities at several polling stations and the Central Election Commission counting center on Election Day (14 January 2012). Now, following further deliberations among the IEOM members and compilation of their detailed observations as well as relevant public information sources, the IEOM has completed its final assessment, entitled “Report on the National Election in Taiwan.” ICFET is pleased to publish the Report on behalf of the IEOM. However, ICFET notes that the content and conclusions therein are the sole responsibility of the IEOM members (the complete list of names is on p. 18 of the Report), and they do not necessarily reflect the views of ICFET as a whole. Please do not hesitate to contact us if you have any questions about the Report, or if you have any suggestions for how we can work together in the future to promote our common ideals. We from MPJ working on very basic issue of Poverty in Mah. The issues of farmers are very serious and important to be addressed as they are suffering a lot; who are the back-bone to our economy. Parliamentary committee on agriculture visited on 2nd March 2012 to the suicide-prone areas of Vidarbha& termed the spiraling suicides by farmers as 'National Shame'. For the same MPJ had called Dr.Narendra Jadhav himself to address in Pune on 18th December 2008; where he raised the issue of farmer’s plight and Agri crisis through his report; which we demanded the same to be implemented in Mah. 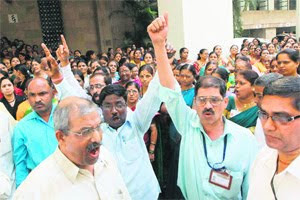 To carry on and pressurize Govt of Mah.MPJ again led a rally on December 2010 to Nagpur Assembly demanding implementation of report and a memorandum was submitted to the minister. Govt of Mahrashtra ‘if’ had accepted the demands made by MPJ regards to progress of farmers and agriculture; we would had seen a better prospect in our State now. Farmers in Maharashtra Vidarbha& Marathwada region have been committing suicides unfailingly, this inspite of the debt waiver packages.MPJ had even that time protested that merely the debt waiver will not liberate the farmers and farm crisis unless farming becomes profitable and a long term solution is mooted out. Mr.Bacchu Kadu your call is the call of MPJ & with the same goal and aspiration we decided to support your cause. Though this seems platitude but never less its core issue of our State which you have raised and fast unto-death; a commendable work which needs whole hearted support. We also urge all citizens and media person to join and support the just cause without any prejudice. May 28, 2012 - The Justice for Peace Foundation (JPF) today called on the Thai Government to ratify and comply with the International Convention for the Protection of All Persons from Enforced Disappearances in a report which documents the enforced disappearance of 59 people from throughout Thailand. “JPF has found that enforced disappearances take place within a broader context of state violence which is used to silence dissenting views and to eliminate suspected criminals, outside of the rule of law”, said Angkhana Neelapaijit, JPF President. JPF has personally documented 40 incidents of enforced disappearances involving 59 people. 12 people were from northern Thailand, five from western Thailand, seven from Isaan (north east), 33 from the deep south. JPF found that men from minority ethnic groups, such as Malayu or Hill Tribe communities, are disproportionately more vulnerable to enforced disappearances. In the cases documented by JPF, 94% of the victims were male and 86% from ethnic minorities. JPF has found that two government policies directly contributed to increasing enforced disappearances in Thailand: the highly militarized counter-insurgency approach adopted in southern Thailand by various governments and the War on Narcotic Drugs beginning in 2003. In addition to these two policies, JPF has found that particular categories of people are vulnerable to enforced disappearances throughout Thailand. These are: (i) people with close relationships with officials and /or come into conflict with officials; (ii) activists engaged in human rights, political or corruption activism; (iii) witnesses of crimes or human rights violations; and (iv) migrants. “Enforced disappearances are not only a problem in southern Thailand. We have found cases of disappearances in every region in Thailand. Nor is this a new problem. We have information on cases of enforced disappearances since 1952 and multiple cases during particular periods of history such as suspected communists in the early 1970s, northern farmers in the late 1970s and victims of the May 1992 military crackdown on protesters”, said Angkhana Neelapaijit. 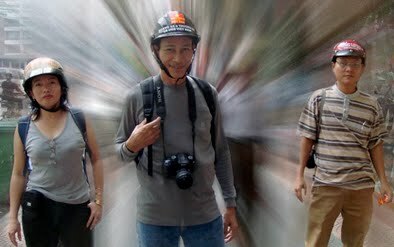 Methods of disappearing a person follow three patterns throughout Thailand. The first, and most common, involves officials taking the victim from the street by forcing them into a vehicle and driving away. Secondly, the disappearance begins with the victim being arrested from his home or place frequently used by him. Thirdly, the victim is invited to meet an official at a specific location and then disappears. The detention of the individual is consistently denied when families seek information about their missing relative. “JPF believes that people who are disappeared are subject to multiple human rights violations such as arbitrary detention, torture and extra-judicial killings”, said Angkhana Neelapaijit. “We have documented evidence in southern and northern Thailand that indicate these patterns of abuses”, she added. Judicial remedies, the right to truth and the right to reparations for enforced disappearances remain largely denied by the state in Thailand. The failure to define enforced disappearance as a crime in Thailand stands in the way of prosecutions. Compounding this are weak investigatory and prosecutorial bodies that lack independence. Right to truth is systematically denied as government agencies seek to hide, rather than reveal the truth about enforced disappearances. Provision of reparations to relatives of the disappearances has been extremely limited in Thailand. “Decades of impunity have created a context in which administrative and security officials know that their illegal actions are condoned by the state and that the likelihood of legal action against them is extremely low”, said Angkhana Neelapaijit. “Families, including myself, have even been denied the right to know the truth about our loved ones”. The Government should ratify the International Convention for the Protection of All Persons from Enforced Disappearances. The Government should adopt legislation that criminalizes the act of enforced disappearance, creates appropriate investigation mechanisms and ensures the full rights of the victim and their relatives. The Government should amend existing legislation relating to witness protection, detention, “good faith” clauses and destruction of evidence. Investigation and prosecution procedures should be improved, including immediate filing of first information reports, immediate investigation, rapid referral to DSI, involvement of independent forensic experts, provision of witness protection, and respect for the rights of the relatives. Where necessary commissions of inquiry should be established into particular categories of enforced disappearances and other human rights violations such as (i) ongoing disappearances related to suspicion of involvement with drugs; (ii) human rights violations in northern Thailand in 2003; and(iii) killings and disappearances of activists. A national level reparations mechanism should be established. Until this is established in all cases of enforced disappearance relatives should receive interim compensation. The National Human Rights Commission of Thailand should play a significantly enhanced role in establishing the truth and ensuring justice and reparations. In all known cases of enforced disappearances there should be independent and thorough investigations leading to prosecutions and sentencing of the perpetrators. New Delhi, May 17 : The Parliamentary Standing Committee on Rural Development today tabled its report to the Parliament on the Land Acquisition, Rehabilitation and Resettlement Bill, 2011. The report makes some positive recommendations as put forward by Sangharsh - a coalition of NAPM, NFFPFW and other movements who deposed before the Committee but it falls short of fulfilling the overall aspirations of the people protesting against the brazen land acquisitions and those struggling for adequate resettlement and rehabilitation for many years. We had demanded that the Bill be titled as National Development Planning, Resettlement and Rehabilitation Act and the whole framework of the land acquisition should change. It should be based on the people’s right to land and resources, and thereby the right to approve or disapprove a development project / plan by Gram Sabha (in rural areas) and Basti Sabha (in urban areas) and on the principle of ‘ Free Prior Informed Consent’. Even though the Committee recommendations don't fully comply with this demand there is a significant recognition of the role of the Panchayati Raj Insitutions at every level. We welcome the emphasis of the Committee on the “consent” as opposed to proposed farcical “consultations” with these bodies in the proposed Bill. The suggested Model Activity Map relating to the devolution of LARR powers to the three levels of Panchayats in rural areas and municipalities in urban areas for consideration by the State Assemblies under Articles 243G and 243W, as well as suggest statutory powers for the empowerment by State legislatures of 'local institutions of self-government' and, most importantly, Gram Sabhas in rural areas and equivalent bodies in urban areas is a step in the right direction. The questioning of the power of the eminent domain of the state by the Committee and taking strong exception to the fact that if land acquisition for profiteering is not done anywhere else in the world then why should India do it is an important recognition of our demands? In recommending deletion of the clauses for private acquisition, it has vindicated our stand that the core public functions of the state can't be handed over to the private corporations, even though the Ministry of Rural Development and many state governments argued that “the distinction between private and the Government sector is blurring in the Country as we proceed on the path of development. So, putting conditions of minimum share of the Government in the projects or ownership of the projects may delay such developmental activities." It is unfortunate that in the name of the PPP, the loot of the scarce natural resources and public property is handed over to the corporations for the sole motive of profit. This has to stop. We hope the Ministry of Rural Development will take note of this important recommendation. However, we still feel that adequate safeguard to private purchase of land is necessary and state can't leave vulnerable communities to negotiate with the land sharks, middle men, and big forces of capital. Unregulated land market will facilitate large scale unemployment and a bigger attack on the agrarian economy. At various points the Committee in its recommendations have proposed removal of ambiguities and unnecessary discretionary powers with the governments and executive. The deletion of clause 98, which recommended keeping out of the purview of this Bill nearly 95% of the total land acquisitions under 16 Central acts is a welcome sign and amendments to the Bill by notification is certainly not acceptable, in a functioning parliamentary democracy. The recommendation by the Committee that all cases of land acquisition must entail obligations for adequate compensation, rehabilitation and resettlement to all land losers and other affected persons and removing arbitrary numerical limits for application of R&R provisions and SIA is in line with our demand. An expanded definition of the food security; no acquisition of any land under agriculture cultivation; an all comprehensive definition of affected families; inclusion of zones of influence within the ambit of the Social Impact Assessment and return of unutilised land to land owners are some other important recommendations by the Committee. Even though the Committee recognizes that nearly 58% of the population depends on the agriculture and related sector but fails to recommend protection of their livelihood since many of the governments and departments very categorically said that they can't provide for the job or land for the land, so cash compensation will get a push and the livelihood of the millions of the dalits, adivasis and marginal farmers will be adversely affected. It is unfortunate though that the Committee even though recognised the extent of displacement in the country and near absence of resettlement and rehabilitation in post independence era, failed to provide any relief to the millions of victims on the altar of development. We had proposed setting up of a National Resettlement and rehabilitation Commission, which would have ensured retrospective application of the provisions of R&R and also settled the claims of the project affected people. The Committee though recommends involvement of the affected communities in determining the amount of compensation and other R&R entitlements through various committees, it fails recommend measures to protect the land rights of the people and facilitate the agenda of the land reforms in the country. The recommendations within the ambit of the proposed framework intends to make the acquisitions more participatory for public purpose and provide for R&R measures however falls short of addressing the key demands arising out of the ongoing struggles against big dams in the Narmada and other river Valleys, Thermal power Plants in Andhra, Orissa and other States, Big infrastructure projects like POSCO in Orissa and anti nuclear struggles in Koodankulam, Fatehabaad and Jaitapur. The demand of the people's movements to have a direct say in planning of the projects at its inception itself which originates from the challenge to the overall development paradigm has failed to find recognition in the recommendations. We feel unless the government takes note of this and gives adequate power to the people in development planning and not leave the job to experts and Planning Commission of the Country, the conflicts and protests against illegal acquisitions be it for the private or public corporations will continue. As demanded by us the Committee didn't hold regional hearings and conduct site visits, but it did express dissatisfaction at the failure of the Ministry of Rural Development for not holding consultations with the affected families prior to its introduction in the Parliament. We do hope the Ministry of Rural Development will take due notice of the recommendations of the Committee, hold regional consultations with the affected parties and then bring the revised legislation soon in the parliament. We demand and urge the government to take note of the plight of the nearly six million development induced displaced people who have received no R&R till date and undo the historical injustice and violence unleashed in the name of development by taking appropriate step and setting up of the National Resettlement and Rehabilitation Commission. Until and unless they get justice and a complete assessment of the unutilised land with the various state and non-state actors is done and a white paper released on that, till then let there be moratorium on any further acquisitions. We will continue to struggle for enactment of the National Development Planning, Resettlement and Rehabilitation Act, which will stop the ongoing conflicts and large scale acquisitions in the name of the public purpose and development and facilitate the agenda of the land rights and agrarian reforms. According to official government figures, on an average 2 dalits are killed and 3 raped every day across India. All the more shocking is the fact that even in Maharashtra which gave birth to major social reformists and progressive thinkers like Jotiba Phule and Dr. Babasaheb Ambedkar, the incidence of atrocities remains unacceptably high. In this landscape it cannot be surprising that dalit and adivasi youth have begun to voice their protest more openly than before. After the police killings at Ramabai colony and later, the Khairlanji massacre many protests took place. Instead of bringing the guilty to book, the State responded by branding the protesters as Naxalites (Maoists). Dalit cultural activists like Sudhir Dhawle were jailed for “sedition” and remain behind bars for years, pending trial. It is in this context that the story of Kabir Kala Manch must be understood. KKM is a Pune based cultural troupe mainly consisting of Dalit youth from the region. First coming together against the communal carnage in Gujarat, they took part in innumerable public interest causes like slum-dwellers rights, workers rights and sustainable development, but their special affinity has been fighting for the annihilation of caste to which end they even held events promoting inter-caste marriage. As a cultural troupe they performed for and with movements led by Medha Patkar and Bhai Vaidya as well as with groups from the working class movement. Around last year the state began to brand them as Naxalites. Today while Deepak Dengle and Siddharth Bhonsle of KKM are in prison, many other members including lead singer-poets Sheetal Sathe, Sagar Gorkhe and Sachin Mali have gone underground after threats from the police. All are charged with being Naxalites and the ATS is using an uncritical media to plant regular allegations against the KKM. Even these allegations do not accuse the KKM of any violence, but are dependent mainly on guilt by association. It is not so long ago that Dr. Binayak Sen was similarly charged and jailed for close to 3 years before the Supreme Court intervened to grant him bail. Binayak Sen had by then become an international cause célèbre. It was hoped that his release on bail would put a brake on the targeting of innocent civilians for the mere “crime” of taking up the cause of the poor. The targeting of KKM shows that this is not the case. The Kabir Kala Manch Defense Committee urges the government of Maharashtra to withdraw all false charges against members of the KKM, free the cultural activists who are currently in prison and allow the KKM to perform in public again. The extraordinary meeting of the United Nationalities Federal Council (UNFC) attended by the UNFC central executive committee members and top leaders of the member organizations was held from May 8 to 9, 2012, at a certain place on the Thai-Burma border. At this meeting, serious discussion was held on Bamah Tatmadaw’s military offensive against the Kachin Independence Organization (KIO), as the main target. The objective of Bamah Tatmadaw’s offensives in Northern Shan State and Kachin State with excessive military force is to protect foreign investments’ mega business projects. We, the UNFC members, oppose and object violent military offensives and the killing of fellow citizens, for the benefit of foreign interest. On the other hand, we support and view as correct the action of the Kachin Independence Army (KIA) and the Kachin people’s militia and their allied forces, which inevitably have to resist transgression of the hostile forces. For building our country, composed of various nationalities, into a peaceful and developed one, it is essential for us to maintain ethnic unity. For that reason, it will be necessary for us to resolve the political problems arising among the nationalities of the land, by political means, through dialogue and negotiation. In resolving the problems, it is impossible for us to accept President U Thein Sein’s proposal calling for the armed ethnic forces to set up political parties, contest the elections and carry out changes in the parliament according to majority decision and law, as it is not in the way of fair dialogue and negotiation. As all the non-Burman nationalities have faced the same fate and gone through the same experience of oppression, they have developed the same aims and objects. To achieve them, they collectively join hands in the UNFC. It is the conviction of our UNFC members that an attack on a member is the same as an attack on all the members. Accordingly, the concern of the KIO is the concern of all the UNFC members. It is necessary for the international community to oppose and pressure Bamah Tatmadaw for its wrong actions. Accordingly, we would like to request the international community not to suspend or lift the remaining political, military, financial and economic sanctions but to wait and see, if the Bamah Tatmadaw does not stop its transgression and military offensives in Kachin State by June 10, 2012. Also, our UNFC members, who have agreed ceasefire with U Thein Sein government, have decided to review the peace process and future programs, including the preliminary ceasefire agreements reached. With the actions and attitude of the Bamah Tatmadaw and government mentioned above, it is impossible for us to correct the dreadful situations in the country. 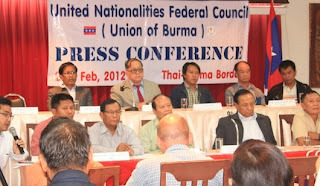 It is necessary for the NLD members, members of the fraternal ethnic parties and members of the democratic parties in the parliament, the experts, intellectuals and the people, and the international forces, supporting and pushing for change of the political system in Burma, to carry on the struggle by rejection and opposition, like the UNFC members. We appeal to all the forces concerned to collectively oppose Bamah Tatmadaw’s war of aggression, which does not benefit the State as well as the people, and correct the wrong political programs of U Thein Sein’s government. New Delhi, May 8, 2012: Farmers and those dependent on the land and other natural resources are constantly at the receiving end of the police violence these days. Land conflicts are the order of the day and it seems they are here to stay given the corporates hunger for the land, water and forests for commercial exploitation and profit. We strongly oppose and condemn any such forceful acquisition of these scarce resources from people by the government and corporations. NAPM has demanded and continues to struggle for the repeal of the Land Acquisition Act and enactment of a national Development Planning Act. The proposed Bill which is now with the Parliamentary Standing Committee doesn't address all the concerns raised by us, hope the Committee will take note of the suggestions given by us. India as a nation can only have a healthy growth and development if we look after the interests of the farmers, peasants, landless workers, dalits, divasis and those living on the margins of the society. We strongly condemn the death of Harisingh, 35-year-old former sarpanch, yesterday while a group of farmers blocked traffic in Raisen protesting the suicide by another farmer a day before and shortage of gunny bags. Bhagwan Singh Rajput, a farmer who was not able to sell his wheat for past several days, committed suicide in Barni Jagir village of Raisen on Sunday. It is ironic that while the farmers continue to die the state and central governments rather than providing relief and taking action are blaming each other. Farmers have been agitating since April 16th on this issue but finally it is the death of farmers which has nudged the governments to act. It is extremely unfortunate that the dead body of Mr. Harisingh was not handed over to the relatives after post mortem and police in their presence burnt it on their own. The situation is tense in the villages since police is making arrests and has imposed curfew in the region. In another instance on May 5th, farmers protesting against the forceful land acquisition and demanding higher compensation and jobs for the land acquired for the 1200 MW Moser Baer Thermal Power Plant in Jaithari Tehsil were lathi charged and arrested. Nearly 27 people have received serious injuries and many more are injured. Farmers here have been agitating against the land acquisition for a long time under the banner of Bhartiya Kisan Union. The land was acquired from the farmers at the rate of Rs. 65,000 per acre, whereas, the farmers have been demanding a much higher compensation rate. There have been ongoing negotiations but the company has failed to keep the agreement. Jagdish Singh, Rampal Singh and 16 more have been slapped with serious charges under Section 307 and others, while more than 150 people have been arrested. Mose Baer is currently developing the first phase of 1200 MW (2X600 MW) for which it has acquired 996 acres of land including 93.6 acre of forest land. In the second phase they intend to add 1320 MW additional capacity. It needs to be noted that Anuppur district has a high tribal population (36.4%) and as per the clearance given they need to seek forest clearance under EPA, settle the rights if any under FRA. The Environmental Clearance was also challenged in the High Court citing irregularities and non-compliance with the PESA provisions since the land is in 5th Schedule. Anuppur is a water stress region but even then a thermal power plant of this magnitude has been sanctioned. The EIA report mentions that the 290 families will be displaced by the project but the status of Resettlement and Rehabilitation is also not known till date. We believe there is a need to do a thorough review of the project, resettlement and rehabilitation, settlement of rights of the adivasis, if any, and pay adequate compensation to the farmers and others who have lost their livelihood due to the project. Even as we denounce the heavy handedness and the police action against protesters we demand action and a judicial enquiry in both the instances and adequate compensation to the victims and stop harassing the farmers and unconditionally release all those in jail. It is unfortunate that while MP Government claims to be bringing in prosperity for all but the farmers and nature based communities continue to suffer due to large number of thermal power plants coming in Chhindwara, Singrauli, Jhansi and the dams on the Narmada and other rivers. It is high time that Chief Minster, Shivraj Singh Chauhan listened to the people and not sacrificed their lives for the needs of 'development' of the other regions. The attack on farmers and commons, and pursuit of neo-liberal policies will only severely impact the food security of the nation and also is a worrying sign for the shrinking democratic spaces for those protesting these. We heartily welcome your proposed landmark visit to Burma from 10-12 May 2012 which is taking place at a time when the country is going through political reforms and not long after the country witnessed the thumping victory of pro-democracy leader Aung San Suu Kyi and her party, the National League for Democracy in the April 1 Parliamentary by-elections. You are also aware that these political developments are welcomed by other international communities as is evident from the series of visits made by prominent dignitaries from governments around the world including US Secretary of State Hillary Clinton, British Prime Minister David Cameron and UN Secretary-General Ban Ki-moon. This much-awaited political reform will enhance Burma’s engagement with other countries like EU, US and ASEAN. Thus, at this important turn of events in its immediate strategic neighbour, India should also take an opportunity and play a significant role by strengthening its historical relations and engage with pro-democracy groups led by Aung San Suu Kyi and her party, the National League for Democracy and other ethnic political parties. As this landmark visit will strengthen bilateral ties between the two neighboring countries, it is pertinent for India to develop a fresh thinking in this new political scenario in Burma. Alongside its national interest, India must be sincerely committed to strengthen democracy and facilitate the process of national reconciliation in Burma. We the Civil Society Groups and citizens of India would like to draw your kind attention before your upcoming landmark visit to Burma on the following crucial issues that urgently need your kind intervention and action. 1. The issue of ethnic nationalities remains a serious concern and must be made a priority while engaging with President Thein Sein’s government in order to secure a durable political settlement. India should also press for an end to atrocities targeting ethnic areas particularly in Kachin state, restoration of the civil and democratic rights of the Rohingya, end of atrocities in Arakan and safe repatriation of the Rohingya refugees. 2. The ongoing developmental joint ventures implemented by the two countries for which a standard Environmental Impact Assessment, implementation process such as public consultation should be conducted as envisaged in the project to ensure the desired vision is achieved. Project related documents should also be made public. That these developmental projects should not have undesired effect such as displacement of the communities in both the countries. 3. Construction of Tamanthi Hydroelectric Power Project (THPP) on the Chindwin River in northwest Burma’s Sagaing Division is another serious concern. The water current due to construction of this proposed Dam is estimated to wipe out an area of approximately 1,400 sq km. (the size of Delhi) displacing over 45,000 people living nearby. Over 2,400 villagers have already been forcibly evicted in 2007 from the Dam site, with a mere compensation of US $ 5 (Rs 500 INR). 4. The Kaladan Multi-Modal Project, developed by India in 2008 to improve connectivity between the two countries has raised several concerns in border areas of Burma and India. The project requires an estimated 196.75 hectares of forest land to be cleared. The development along the port and river will displace thousands of people from their homes and livelihood. While an environmental and Social Impact Assessments have not been conducted till date, the project implementation is already way behind its stipulated time frame of 2010. Communities specifically beneficiaries inhabiting border areas in Burma and India have no information about the proposed project. We strongly urge the Honourable Prime Minister to take these matters into utmost importance while meeting with President Thein Sein. We urged Hon’ble Prime Minister to ensure democratic process and people’s participation in the development process of the two countries, whereby developing strong ties and strengthening neighbourly relations. We are confident that the visit of our Honorable Prime Minister to Burma will bring encouraging results and strengthen ties not only in trade and security but also enhance co-operation at the people-to-people level. 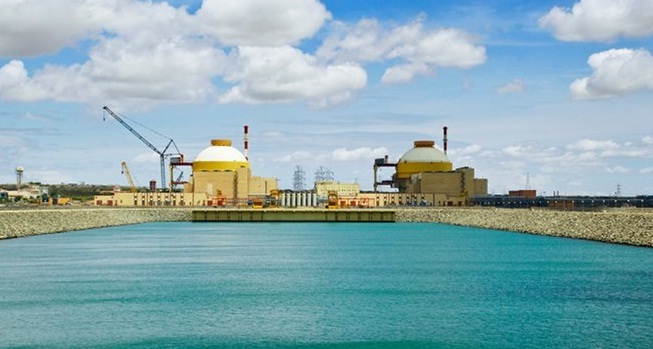 In an order that can open up nuclear installations for public scrutiny, transparency watchdog, the Central Information Commission, has asked the government to release safety analysis report of Kudankulam nuclear power plant minus information of strategic importance. It all started when the Nuclear Power Corporation of India (NPCIL) refused to provide safety analysis report and site evaluation report of reactors I and II of the Koodankulam plant to Right To Information (RTI) applicant SP Udayakumar, who is also leading the agitation against the nuclear plant in the southern Indian state of Tamil Nadu. Kumar, who has been accused of using foreign money to fuel the agitation, filed an appeal with the transparency watchdog claiming that the information sought was wrongly denied on the ground that it was “classified”. Information Commission agreed with Kumar’s contention that terming a record as “classified” has not been stipulated as an exemption under the RTI law. NPCIL’s public information officer SK Srivastava had also claimed that information contained in safety analysis report was of strategic, scientific and security importance and cannot be shared. Gandhi, however, said that the officer had failed to give specific reasons, as required under the RTI law, for applying these exemptions. In addition, similar information is disclosed on the government websites in United States, United Kingdom and Canada and denied of such information would amount to treating Indian citizens differently, he said. Srivastava’s only explanation was that the report contained designs of Russian manufacturers of the nuclear reactor, disclosing which may amount to breach of commercial confidence. “The PIO can severe such design details which has been provided by the supplier as per the provisions of the Act,” the CIC order instructing the NPCIL to place the information on its website, said. On the larger issue of putting such information in public domain, Gandhi said that disclosure of the reports would provide a comprehensive perspective to the citizens about holistic understanding of the Koondakulum nuclear power plant and will enable citizens to voice their opinions on nuclear safety issues. “All Safety Analysis Reports and Site Evaluation Reports, Site Evaluation reports and Environment Impact Assessment reports prepared before setting up nuclear plants should be displayed suo motto…such practice would be in accordance with the provisions of section 4 of the RTI Act and would result in greater trust in the government and its actions,” the CIC order said. Every year the May Day is celebrated by millions of workers around the world commemorating the the hard earned workers rights after years of struggles. It is a celebration but also a time to remember the victories, defeats and challenges infront of the workers movement even as we move ahead. Workers of the world unite ! The slogan has assumed much importance and the meaning of work and labour has also gone through significant changes over years. Today nearly 93% of the workers are in the unprotected and unorganised sector who are still having to fight for their basic rights : social security, job security, pension, health and education facilities, eight hour working day, mandatory leaves, fair wages, minimum wages, right to unionise and others. A hard fought right to form independent unions by the workers is under threat and so are other rights in the era of global capital pushing for maximum exploitation of labour and complete privatisation and contractualisation of work in neo liberal reforms era. Millions of agricultural workers, NREGA workers, construction workers, fish workers, forest workers, hawkers, and many other non-traditionally recognised forms of workers remain outside the social security net and face problems with the authorities in forming their own unions across the country. In the same way millions of workers working in manufacturing sector face the same problem most recent being Maruti factory in Gurgaon, Rockman and Satyam in Dehradun and elsewhere. Various studies, surveys and reports have accepted the fact that this group of workers contributes more than 60% to the GDP. From road construction crews to domestic help, they work long hours for less than the minimum wage, receive no compensation for work-related injuries; and they receive no social security. About 44% of all unorganised urban workers are construction workers but they have no social security or job security, most of them migrants who stream in from remote villages where agriculture can no longer support their growing numbers. It is unfortunate that even though nearly 60% of the population is engaged in the agriculture, fishery and forestry but their total contribution to the GDP has come down to nearly 16%, indicating worst agrarian crisis fuelling large scale farmers suicide and migration. * The honest producers of this country – workers, artisans, fisher folks, hawkers, and others in unprotected and unorganised sectors continue to be oppressed and often victimised. The 93% of workers who have been denied social security pensions should be given protection equivalent to the organised and secured sectors. There should be access to food, water, shelter etc. to everyone equitably. Every service, every resource or development benefits should be equitably distributed. * The Provisions for pension must be extended to the 93% workers in the informal and unorganised sector workers, the current provisions are not at all adequate. The inequality in various pension schemes in different states must be removed. * There should be an end to inequality in the country. The politicians are working only for the interests of a handful of people, not for the interests of the masses. There shouldn’t be a difference of more than 1:10 in the income of the people and a ameeri rekha should be determined. Tax should be levied on property and assets, not on small productions or incomes. * Right to Unionise is a fundamental right and it must be respected irrespective of the sector, work, etc. * All forms of forced labour must be stopped effectively. There is need of comprehensive social protection for all unorganised sector workers and fair wages must be given to them. The minimum wages must be raised to a living wage level and it must be ensured that these are remitted on time. Minimum wages should be as such that the whole family is provided for by the income of one. The below poverty line families list should be enumerated by the members of the gram sabha or the electorate of the urban areas. * There must be provisions for Rain Basera (shelter homes) for daily wagers and migrant workers. The migrant workers in cities who have faced eviction must be duly rehabilitated. * Under NREGA, work must be provided throughout the year. Corruption must be stopped in NREGA and different pension schemes must be introduced. * The ambiguities and contradictions in central and state labour laws must be removed. The labourers must be adequately represented in the labour boards. * The use of machines in PMGSY must be stopped and manual labour be implemented so that the employment can be provided to workers and their skills can also be upgraded. * There is a need for changes in the hawkers policy and provisions must be made for them to be allotted shops and given rehabilitation as per requirement. * The domestic workers must be brought under the sexual harassment act and be provided protection and security under various acts. Many other issues were discussed during the Jan Sansad which will take forward the struggle for the development with justice and equity. The programmes emerging from the Jan Sansad will be carried forward in coming days by the movements and community groups in their regions and areas through struggles, moblisations and advocacy. On this Mazdoor Diwas on May 1st our constituent groups organise to demand the rights, dignity and security for the 93% of the working force of this country and pave the way forward for a most just and humane society. We hope you all will join us in taking forward the struggle for a life and livelihood of dignity for millions of working class people of the country. At about 6.30 am on 8th April the priests of Sri Abhaya Anjaneya Swami Devalayam located in a by lane in Kurmaguda noticed green colour (associated with Islam and Muslims) sprayed on the walls of the temple and burnt leg pieces of a cow placed on the grill. The priests informed Mr.Sahadev Yadav, the local Corporator from the BJP party who in turn informed the police who reached the spot by about 7 am. By 7.30 am a crowd of locals started gathering around the temple and by the time the police called the dog squad for investigations, the crowd is reported to have swelled to over 200. The dog covered a distance of about half a kilometer and stopped near the local petrol pump. Time was about 8.15 am. At this point, the crowd got agitated and started pelting stones at some Muslim shops located near the petrol pump and some RTC buses plying on the roads at the time. Police swung into action to disperse the crowds. After retreating, the crowds attacked 4 houses and one shop belonging to the Muslim community. In most cases, it was stone pelting causing damages to doors and window panes. In the house adjacent to the temple that was desecrated, it is reported that the inmates had left in the morning immediately after the incidence came to light (as they had planned to visit a holy shrine), and some miscreants entered the house and damaged some utensils and furniture including a DVD player. In the mean time, trouble spread to other surrounding areas of Pusalbasti, Zakir Hussain Colony Ameen Jung Colony, Madannapet Mandi and Jaihind hotel including stone pelting on houses, attacks on pedestrians walking by, burning of 2 / 3motorcycles and damage to buses on the Saidabad main road. There are reports of women traveling in buses being assaulted, stabbing of two persons and an attack using boulders on one person. In all 8 persons were injured, two of them seriously. It is reported that at about 10. 30 am crowds from Pusalbasti had gathered at the Pusalbasti- Zakir Hussain Colony Junction and started pelting stones. Crowds of the two communities gathered at both sides leading to brick batting even though two police vans with 15 to 20 policemen were present on the spot. Situation could be brought under control after about an hour with additional police reinforcement. In all, 6 houses of the area, belonging to both communities suffered damages to the doors, window panes, coolers, water tank and drain pipes due to stone pelting. It was around 11.30 am- after about 3 hours of trouble in the streets that police was able to bring the situation under control and by about 12.30 pm, curfew was declared in the three affected localities coming under 2 police stations. During the past 3 years, the political scenario in Andhra Pradesh has become fluid and uncertain on multiple counts. The most significant seem to be the Telangana agitation, exposure and investigation into a number of scams involving top ranking politicians and bureaucrats and infighting within the ruling party. Past experience has shown that communal conflicts have been instigated and riots engineered in Hyderabad to divert attention from burning political issues to even affect change of government. Complicating matters are the General Elections to the Parliament and the Andhra Pradesh Legislative Assembly scheduled in 2014- just two years from now and the prospects for some parties to reap political benefits through polarization of votes by engineering communal riots. 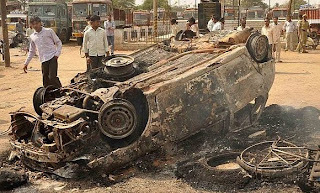 In the light of all these factors it is not surprising that concerted and consistent efforts are being made during the past few months to spread disaffection between the Hindu and Muslim communities to engineer communal riots not just in Hyderabad but in other cities and towns of the State, especially in the Telangana and Rayalaseema areas. Attempt was made in the same Madannapet- Saidabad localities to instigate communal violence during the Ganesh festival in September 2011 by desecrating not one but four Ganesh idols in the area but fortunately the conspirators did not succeed in their nefarious designs due to the good sense shown by the local people and timely action by the police. After this, there was a series of targeted attacks on lone Muslim youth during nights by members of the Hindu Vahini (as per the investigations of the A.P. Police) to instigate communal riots but these attempts did not succeed. This was followed by burning of motorcycles parked outside houses during nights but these instigations also failed to generate any communal backlash. Unfortunately, the conspirators finally succeeded in instigating communal violence on 8th April 2012 through the desecration of the temple at Kurmaguda detailed above. This success was possible perhaps due to the growing communal tensions in the Madannapet- Kurmaguda areas during the past 5 years that the conspirators were able to exploit to their advantage. In most cases of provocation in the past few months and during the recent disturbances, the role of the Hyderabad city police was good in containing communal tensions in a short span of time, restricting their spread to other areas and preventing them from assuming proportions of a full scale riot. In the case of the incidence at Kurmaguda, there was a time gap of at least one and a half hours between the reporting of incidence and the outbreak of mob violence in the affected and the neighbouring localities of Saidabad and Madannapet. Police could have prevented this violence by preventing crowd mobilisation near the affected temple and rushing reinforcement to the sensitive areas in the neighbourhood in the time available. After this initial lapse, police seemed to have acted fast and brought the situation in the area under control within 3 hours. However, the police seemed to have failed in matters of investigation and unearthing the conspiracies behind the series of provocations over the months to foment communal violence in the city and other parts of the State. Baring the unearthing of the culprits behind the series of targeted night attacks on the members of a community, the police has not been able to expose the conspirators behind the 2010 riots in Hyderabad, or the desecration of the Ganesh idols or the group behind the series of motor cycle burnings amongst others. Even in the present instance, catching some stray stone pelters will not help and what is required is exposing the entire conspiracy behind the systematic desecration of a number of places of worship of both communities within days ostensibly with the sole objective of fomenting communal riots in the city. If the police investigations fail to unravel the conspiracies and bring to book all those responsible, irrespective of their power or position, such provocations will continue to occur and perhaps increase in the light of the forth coming general elections in 2014 and the city of Hyderabad along with many other cities and towns of the State could be converted into communal flash points and hotbeds of riots. The Government has given compensation to the 8 persons injured. However, no assessment of the damage to houses and property has been undertaken so far by the revenue department concerned. After every incidence of communal violence, the Muslim community cries hoarse at the partisan attitude of the police force and says that despite coming under attack and suffering more injuries and damages, more number of Muslim youth are picked up by the police and implicated in false cases. The memories of Macca Masjid bomb blasts and the arrests of over 100 Muslim youth on trumped up charges, their torture and subsequent acquittal by the courts still rankles fresh in the minds of the community. In the present instance of trouble in Saidabad –Kurmaguda areas, most of the houses that were attacked belonged to the Muslim community. According to newspaper reports, 14 Muslim youth have been arrested while the number for the youth of the Hindu community is stated to be 4 and 28 Hindu youth are being shown as absconding. Though police officers are stating that investigations are still in progress and eventually every one responsible will be caught, prima facie, from the facts available at the moment, it appears that the police are more vigorous in pursuing the cases relating to the Muslim youth. This is causing dread amongst Muslim youth about the police force and the recent tragic incidence of a Muslim youth Mr. Syed Ghouse, who is reported to have died while trying to escape from a police party searching for him, illustrates the point. All this is leading to feelings of insecurity, alienation and loss of confidence in the neutrality of police force that is dangerous for all concerned including the Muslim community. Matter have come to a stage when some very respected and highly placed members of the Muslim community have petitioned the State Human Rights Commission to address this issue. Immediate steps and action should be taken to restore the non- partisan image and functioning of the police force. The role of some media has been partisan and at times grossly inaccurate leading to increase in tensions and the possibility of spread of violence to more areas. Media gave the names of those injured that revealed community affiliations to further stroke passions and violence. One TV channel wrongly reported the death of a youth injured that heightened tensions at a critical time in many areas. · Cases of members of one community saving members of another community have also been reported- like it happens in most instances of communal disturbances. · The mobs that had gathered for attacks numbered between 50 to a couple of hundred and comprised mostly of 15 to 25 year olds- with their faces covered with handkerchiefs. · In many sensitive locations, elders of the area were able to control the groups and prevent untoward incidences even before the arrival of the police. · Despite the repeated attempt to provoke communal feelings by desecrating places of worship of both the communities, people seemed to have retained their balance and seen through the design to engineer riots for some vested interests. Members of Civil Society Organisations and the Fact Finding Team appeal to all people of Hyderabad and of the State to maintain peace and harmony between all communities and frustrate the nefarious designs of vested interests that seem to be bent upon fomenting communal violence for political gains. We also demand that the government should immediately table the Recommendations of the Ramana Chari Commission Report of 1991 and take all steps necessary to prevent communal violence and promote inclusive and equitable development of all sections of society. PARIS, Apr. 16, 2012 (VIETNAM COMMITTEE) - The Vietnam Committee on Human Rights calls on the Vietnamese authorities to immediately release bloggers Nguyen Van Hai (pen-name Dieu Cay) Phan Thanh Hai (Anh Ba Saigon) and Ms. Ta Phong Tan (Justice and Truth) and drop all charges against them. The three are charged under Article 88.2 of the Vietnamese Criminal Code on “spreading propaganda against the Socialist Republic of Vietnam” which is punishable by ten to twenty years in prison. “Dieu Cay has been detained incommunicado for the past 17 months in gross violation of domestic and international law, and he should never have been arrested in the first place. A trial under these conditions would be nothing other than a parody of justice” said Vo Van Ai, President of the Paris-based Vietnam Committee on Human Rights. The lawyers were allowed to see Dieu Cay on March 29th for the first time, and have met him a second time since. They say that Dieu Cay has lost a lot of weight in prison. However, he continues to reject the accusations laid against him and insists that he has committed no crime. His lawyers said that Dieu Cay refuses to sign any papers concerning the case, and even refused to read the Indictment drawn up by the prosecution. They fear that if Dieu Cay persisted in this attitude, they would have little chance of obtaining an acquittal or even a light sentence. Dieu Cay, born in 1952, a prominent blogger and founder of the “Club of Free Journalists” was first arrested in April 2008 and sentenced to 30 months in prison on alleged charges of “tax evasion”. In fact, he had staged demonstrations during the Olympic Flame relay to protests China’s incursions on the Paracel and Spratly Islands and written articles denouncing violations of human rights in Vietnam. 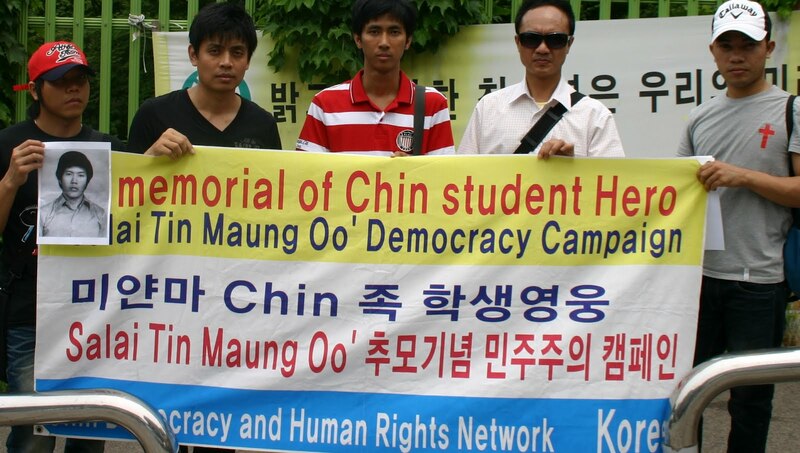 The Vietnam Committee on Human Rights alerted the United Nations of his case, and in 2009 the UN Working Group on Arbitrary Detention pronounced him a victim of arbitrary detention and called for his release (Opinion 1/2009). Instead of releasing Dieu Cay on completion of his sentence (19 October 2010), the authorities detained him under a second charge of “spreading propaganda against the SRV” (article 88). Since then, his family have been denied all visits and not even informed of his whereabouts. They had serious concerns for his health, and did not know if he was dead or alive. This 17-month detention contravenes Vietnam’s Criminal Procedures Code (Article 120) which limits pre-trial detention for “national security offenders” to a maximum of four months, extendable three times only in “serious cases”, after which the detainee must either be released or “other deterrent measures” may be applied. The other two bloggers to stand trial with Dieu Cay, Phan Thanh Hai and Ta Phong Tan are also members of the Club of Free Journalists. Phan Thanh Hai, born in 1969, was arrested on 18 October 2010 and has remained in detention since then, also in violation of the Criminal Procedures Code. His lawyer is Doan Thai Duyen Hai. Ironically, one of the articles posted on his blog was entitled “I disrespect Article 88”. Citing Montesquieu’s writings on the vague definition of lèse-majesté, or disrespect for the monarch in feudal times, Phan Thanh Hai denounced the equally vague definition of “spreading propaganda against the SRV” under Article 88. This article violates Article 69 of the Constitution which guarantees freedom of expression, and Article 53 which enshrines the right of all citizens to “participate in the administration of the State and management of society, the discussion of problems of the country and region; he can send Petitions to State organs and vote in referendums organized by the State”. “Do we have the right to call for the abrogation of Article 88? I say that we do. As citizens who have voted for our elected representatives, we are entitled to petition the National Assembly and urge them to repeal any laws that are useless, obsolete, or which go against the people’s interests. This is our right”, he wrote. Ms. Ta Phong Tan, born 1968, a former Policewoman, posted articles on the Internet on Police abuse and state violations of human rights. She was arrested on 5 September 2011. She is defended by lawyer Nguyen Thanh Luong. The Vietnam Committee on Human Rights calls on Vietnam to immediately release these three bloggers who are detained for the legitimate expression of their peaceful opinions. All charges against them should be immediately dropped and they should regain their full citizenship rights. “Vietnam has signed most key UN human rights treaties and it is candidate for a seat at the UN Human Rights Council in 2014-2016. Yet it continues to blatantly flaunt its disrespect of the most basic human rights. Vietnam must respect its international commitments and call off this mockery of justice before it is too late”, said Vo van Ai. We, the undersigned civil society organizations and networks from Southeast Asia, express our grave concern and disappointment over the continuing secrecy in the drafting process of the ASEAN Human Rights Declaration (AHRD). The ASEAN Intergovernmental Commission on Human Rights (AICHR) is mandated under Article 4.2 of its Terms of Reference to develop an ASEAN Human Right Declaration with a view to establishing a framework for human rights cooperation through various ASEAN conventions and other instruments dealing with human rights. At the 6th meeting of the AICHR in Vientiane on 28 June – 2 July 2011, a Drafting Group was officially established by the AICHR to prepare a draft of the ASEAN Human Rights Declaration. In January 2012, the Drafting Group submitted to the ASEAN Inter-governmental Commission on Human Rights (AICHR) a draft AHRD for deliberation and debate. To this date, the draft AHRD remains confidential while the public has been excluded from any meaningful participation in the drafting process. There has not been any substantive and broad-based regional consultation with the peoples in the region on the draft AHRD. While we commend the representatives of the AICHR from Thailand, Indonesia, Malaysia and the Philippines for holding consultation with their civil society at national level, we are disturbed that no such initiative has taken place in the rest of the ASEAN countries. If ASEAN’s aspiration to be “People-Oriented” is to be achieved, the AICHR that is tasked to defend the fundamental freedoms of the peoples in the region must set a good example in ensuring meaningful and substantive consultation and people’s participation in the drafting of the historic AHRD. We therefore strongly urge the AICHR to heed the recommendation of the United Nations High Commissioner for Human Rights, Navi Pillay, that “no discussion of human rights can be complete or credible without significant input from civil society and national human rights institutions”1 and immediately begin dialogues and consultations with civil society organizations on the AHRD. 1) To immediately publicize the draft AHRD so that the public can meaningfully participate in the drafting process. Consultations will remain meaningless if the draft declaration is kept confidential and out of reach of the peoples. 2) AICHR representatives who are already conducting national consultations in their respective countries must continue to do so, and ensure that these consultations are held nation-wide and in an inclusive and more regular manner. They should further encourage other AICHR representatives that have not taken such initiatives to do the same. The AICHR should also conduct consultations both at national and regional levels, especially if national consultations are not applicable yet in particular places. 3) To translate the draft AHRD into national languages and other local languages of the ASEAN countries in order to encourage broader public participation in the region. 4) To ensure that consultation meetings of the AICHR will be inclusive of all stakeholders, especially civil society organizations and national human rights institutions. Until and unless the AICHR consults and engages with all stakeholders in a transparent, meaningful and substantive manner, the AICHR should postpone its submission of the final draft of AHRD to the AESAN Ministerial Meeting (AMM), which is scheduled to take place in July 2012.